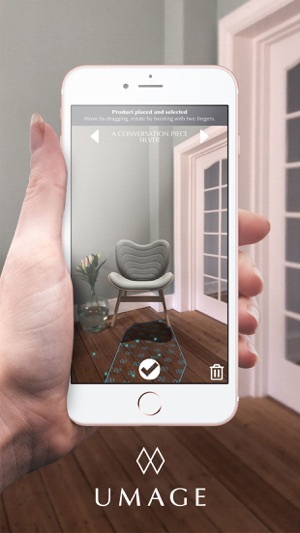 UMAGE's AR (Augmented Reality) app that lets you virtually place UMAGE products in your home or working space. Gives you true to life impression of size of the lamps and furniture and how they will fit into your personal space. The app includes 3D and true-to-scale models of UMAGE lamps and furniture. Uses ARKit and is compatible with IPhone 6s and most newer devices that have an A9, A10 or A11 CPU and requires iOS 11. Please note: The app may consume more battery than usual, due to many calculations and the camera being used. Various updates, fixes and performance improvements. It's now easier to place products on ceilings.